If looking for some adventure, Crusade of Fortune will definitely do as this fantasy video slot will draw you into a fantasy world featuring mystical animations involving orcs, wizards, dwarves and much more characters and attributes related to a fantasy themed video slot. 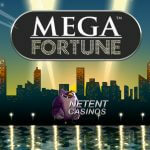 As usual with video slots designed by Net Entertainment, also Crusade of Fortune is filled with extra features such as a Wild, Scatter, Free Spins and a Bonus game. Not just a bonus game, but one dragging you into a situation you will have to come up for yourself as you don’t want to be defeated by an ugly Orc. Pay attention so you can make the right decisions, and not only because the aim is to win the biggest cash prizes, but to steal what is so precious for the Orc. 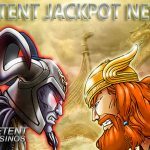 Going on a personal crusade you will meet many different characters on the way and when you like films as The Hobbit and The Lord of the Rings, you are definitely at the right place with the Crusade of Fortune video slot. The theme could have been inspired by these films since the same atmosphere is created by the developers including bloodthirsty orcs, dwarves, elves, wizards and witch hunters. I can tell you it’s quite busy on the five reels Crusade of Fortune consist of, just because no card symbols have been used and all symbols show one of the fantasy characters, completed by hammers, shields and swords. While the symbols on the five reels perfectly fit the theme, that’s not all the designers have been concentrating on as the setting of the game is filled with fire and brimstone, bordered with gothic graphics including skulls with blood red eyes. 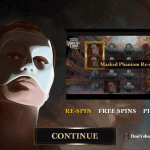 The fantasy characters will draw you into another world once you start to play Crusade of Fortune, but the paytable takes you back in time as it looks like a historic map telling you all about the hidden features this fantastic designed video slot has to offer. 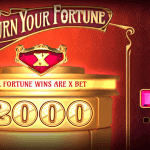 With twenty bet lines and five different coin values Crusade of Fortune isn’t much different than other Netent video slots, but I do see one significant difference compared to other slots as there are twenty bet levels, the highest I have seen so far. This will give you the opportunity to choose from several betting options starting from 0.20, when all bet lines are activated, up to 80.00 if you decide to play with the highest level and the highest coin value. With this wide range of betting options Crusade of Fortune is perfect for all type of players, including high rollers. Looking for some adventure in your life after a 9 to 5 day at work? Crusade of Fortune gives you the opportunity to start your own personal crusade and on the way you’ll not only meet some mysterious characters, but if lucky some very fortunate features too. There is not one feature missing in this fantasy video slot, which makes Crusade of Fortune even more exciting than other fantasy slots like Tales of Krakow and Excalibur which you can find at the may Netent Casinos. The wizard uses her magic as a Wild symbol, which can substitute for any other symbol to complete a winning combination, except the Scatter symbol and Bonus symbol. Just as most Netent video slots Crusade of Fortune offers a Scatter symbol, but this time in the appearance of an axe wielding dwarf. Wins with Scatter symbols pay the Multiplier as displayed in the paytable, multiplied by the total bet. In addition three or more Scatters activate Free Spins. 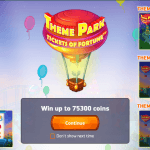 You’ll win ten Free Spins with three icons, twenty Free Spins with four Scatters showing while the maximum amount of thirty Free spins will be activated when five Scatters are visible anywhere on the reels. 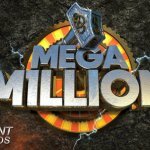 To make this video slot even more worth playing the designers from Net Entertainment added a x3 Multiplier valid for all winnings made during Free Spins. You will fight Zombies in the Zombies video slot, and you’ll try to keep away the enemies in Scarface, but in Crusade of Fortune it’s time for you to wield your sword against a bloodthirsty orc. This adventure starts when three or more bonus symbols appear on an active bet line. During this bonus round you battle against an evil Orc with successful blows or defensive moves paying cash prizes. While you have to defend yourself, you’ll eventually aim to slay the orc and steal his precious treasure. Click one of the three swords to select your attack: high, middle, or low. You will attack the Orc using the strike selected and the Orc blocks the attack using one of the three positions high, medium, low. This same counts when the Orc starts to attack you, but this time a shield is chosen before the Orc attacks. Defend well and attack even better to win the battle and steal what’s so precious to the Orc. Let the battle begin!